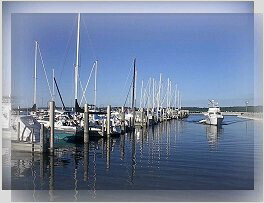 Offering quality Web site design in Traverse City and surrounding areas! Since 1999, Boldt Design has been a local family owned and operated company here in the Traverse City area. Our mission is to listen to your needs, and then deliver an applicable Web presence for your company or organization. We believe it is important that a Web site be practical and useful for not only the visitor, but also the search engines as well. In order for a Web site to achieve the highest return on your investment, it is vital that the site is well marketed, as well as appealing to the visitor. Since many customers today locate products and services online, an appealing Web site is often the only means to portray the image of your company. In other words, if your site looks good, you look good; if your site looks bad, you look bad. Furthermore, it is vital that each site be promoted well, or it will benefit you no more than a box of fancy brochures that have been collecting dust. Boldt Design provides a comprehensive range of services, which include Web site design, database integrations, advanced interactive online application development, graphic design, e-commerce, web/online marketing, commercial photography and more! We work with our clients, to develop an effective Web presence for their company or organization. We believe it is important to listen to our clients, and work with them to create the site that will be suitable and effective for their needs. If you would like to setup a meeting to discuss your needs and receive a free quote, please give us a call at (231) 946-5845 or fill out our online contact form. There are many effective ways to prevent SPAM (junk mail) from ending up in your inbox. The first step is to never post your email address online, as spammers use robots to scan Web sites all over the Internet and then harvest email addresses and add them to their spam databases. Taking this one step can prevent your email address from being added to an endless list of spammer's databases. Once a spammer sends you email and finds that it does not bounce... you're considered a 'working address' and as a result, they sell that list to more spammers. When designing Web sites, we encrypt our client's email addresses, which invisable to the visitor, but will cause the spam bots to overlook that address and never add it to their database. 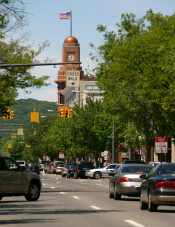 Boldt Design is based in Traverse City, Michigan but serves the Northern Michigan area and beyond. You can reach us at (231) 946-5845 or fill out our online contact form.